All three headliners of the event are coming from the largest blues festival in South America: the Mississippi Delta Blues Festival in Caixas do Sul, which began eleven years ago and has been growing in size and reputation ever since. RIO DE JANEIRO, BRAZIL – Tonight, (Thursday, November 29th) the Mississippi Delta Blues bar in Gamboa will be kicking off its second annual ‘Gamboa in Blues’ festival which will run through Saturday (December 1st) – and will feature three headliners from the largest blues festival in South America: the Mississippi Delta Blues Festival. The headliner for Saturday is Mississippi blues singer JJ Thales, who has released two albums and is recognized as one of the stars of the new generation of American blues divas, photo internet reproduction. On Thursday evening, British guitarist Ian Siegal will be taking to the stage. He is one of the most successful British blues artists to emerge onto the scene in the last forty years and has won accolades from the likes of MOJO magazine. Siegal’s style is inspired by all forms of American music, including blues and r ‘n’ b but also country, jazz, and even bluegrass. In 2003 Siegal’s reputation was cemented when he opened for the Rhythm Kings, the band of former Rolling Stones bassist Bill Wyman. Aki Kumar will be entertaining the crowd on Friday evening with his unique mixture of blues and the music of Bollywood. Born in Mumbai, India, Kumar grew up listening to a mixture of Bollywood, Bach and John Denver. When he moved to the United States he decided to dedicate himself exclusively to music and has since released two albums. Finally, American blues diva JJ Thales will take to the stage to close the festival on Saturday evening. 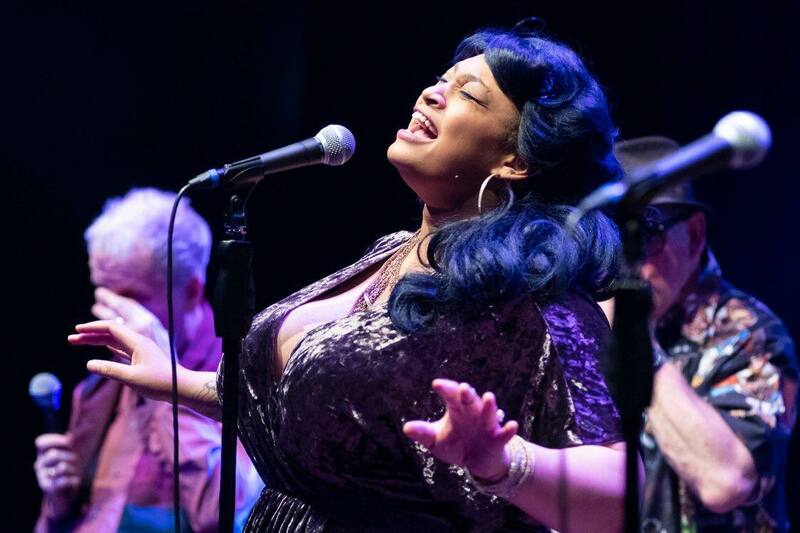 A native of Detroit, Michigan, JJ Thales prides herself on her live shows, where she performs original material alongside electrifying covers of artists such as Etta James, Ray Charles, and Big Mama Thornton.